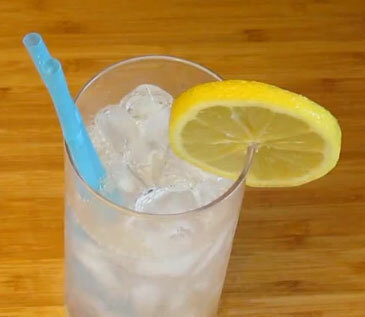 The gin fizz is a lovely refreshing old time cocktail. Bring back the fizz! Half fill your cocktail shaker with ice cubes. Add the gin, sugar syrup and lemon juice. Add the soda water and garnish with the lemon juice. Other hangover cures of the time included raw eggs, Worcestershire sauce and oysters, donating blood (although that was in an emergency during WW2 and not generally recommended) , and giving up and staying drunk. Finely slice the onions and cook in a saucepan in the butter until they’re see-through. Add the flour and cook for a couple of minutes. Add the stock and the water. Simmer for 15 minutes. While the soup is simmering, toast your bread, put some cheese on top and put it under the grill (broiler to my US visitors) until melted. Once the soup has cooked for the 15 minutes, add the seasoning. If you’re using a commercially made stock don’t add the salt. 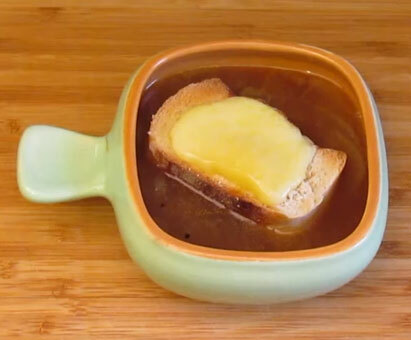 Serve in soup bowls with the cheesy toast floating on top.